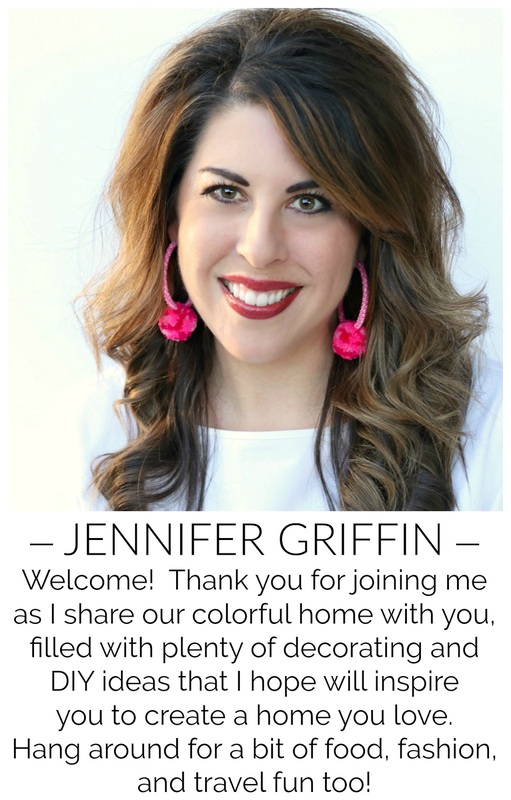 My blog friends Pam of Simple Details, Lisa of Shine Your Light, Kris of Driven by Decor and I are back today (and the first Tuesday of every month) for this month's feature of My Favorite Five. 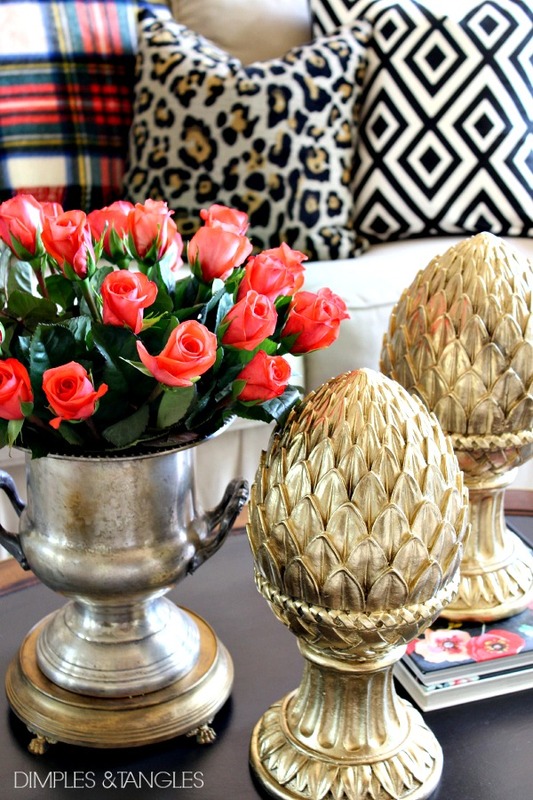 Today we're sharing our favorite ways to mix metals! This month we're happy to welcome our guest host Claire from Claire Brody Designs. I've known Claire for a few years and have even met her personally and she is an absolutely lovely person. Let me tell you, this is one talented young lady! 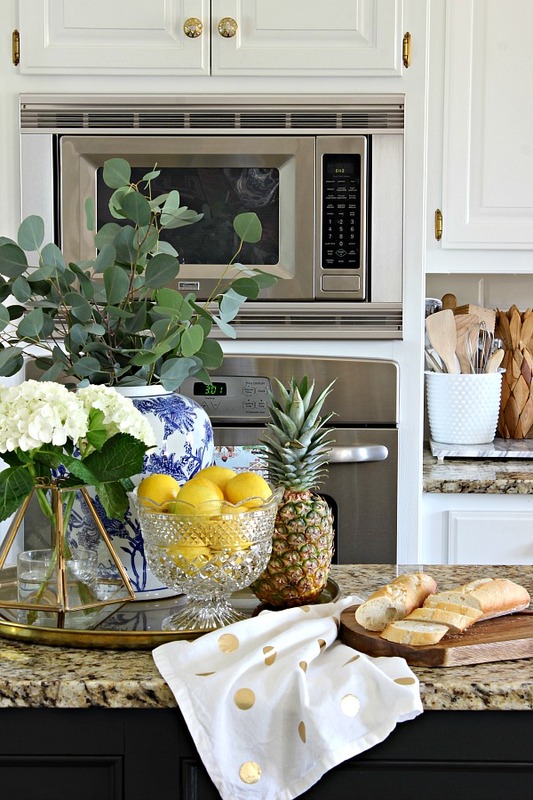 Claire has the perfect combo of a keen eye for design and the willingness to take a risk. The result is always a sophisticated, bold, well curated space that might just be mistaken for a design out of a magazine. 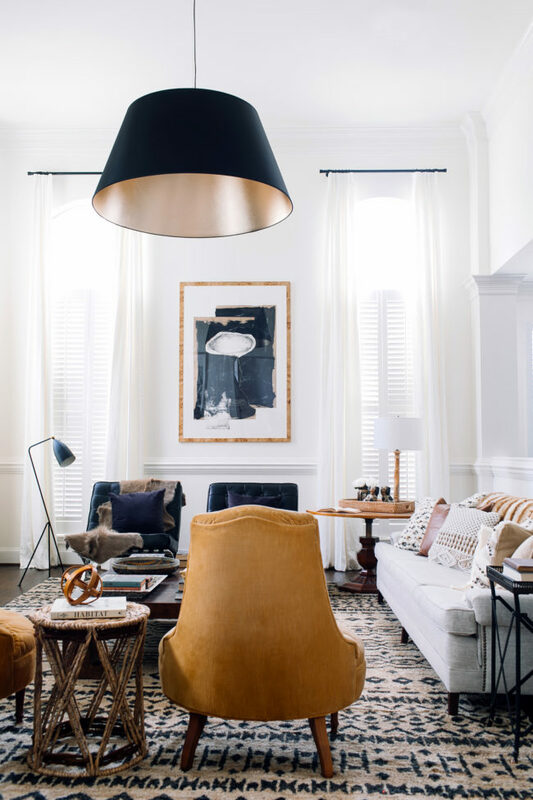 She recently made over her parents' living room, where she seamlessly combined old and new, modern and traditional, resulting in an absolutely jaw-dropping space. We're so glad Claire has joined us today! 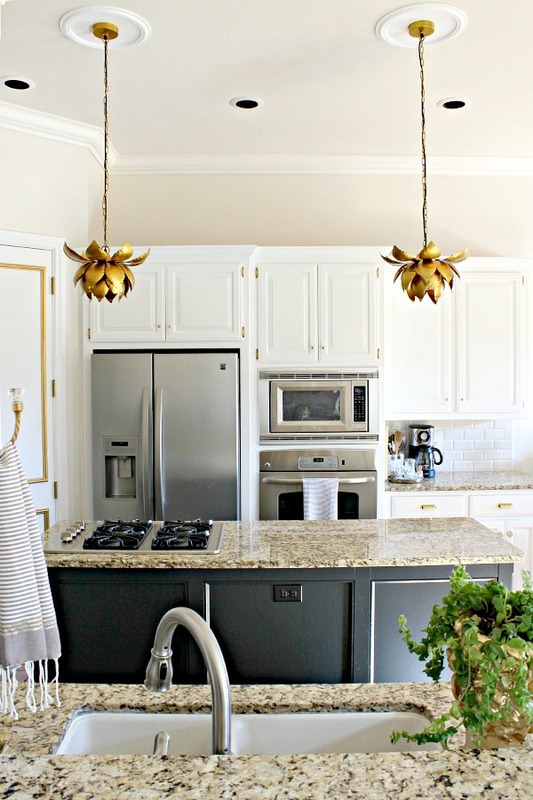 The kitchen might just be the easiest, most obvious place to experiment with mixed metals. 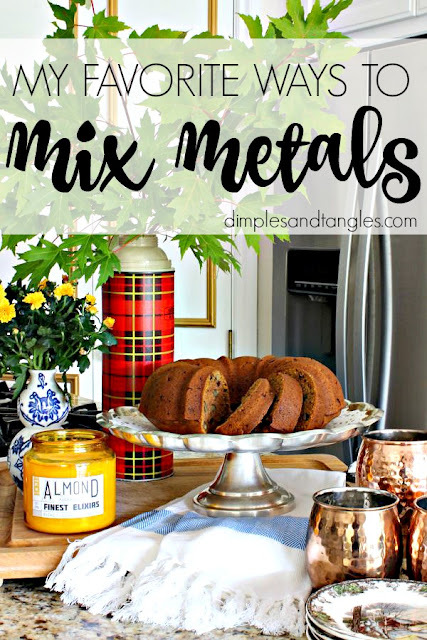 Since most of us have stainless steel appliances, mixing metals is a given if you want to introduce any new finishes into the space. I've got plenty of brass accents mixed right alongside my stainless, and I think everything works together nicely. 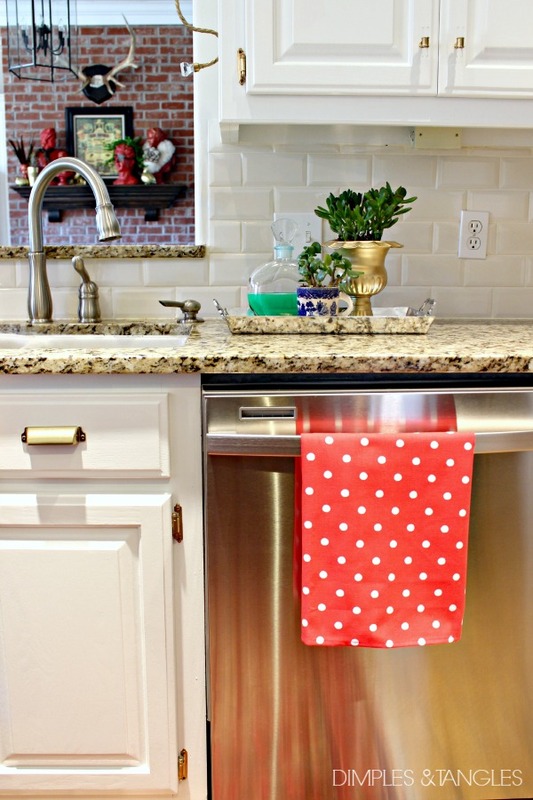 Gone are the days of continuing one metal finish throughout the entire house on every fixture, knob, faucet, and piece of hardware. The simplest way to mix metals when setting a pretty table is to mix the flatware with different colors of metal accents on the table. Only within the last year did I purchase a gold-toned flatware set, but in the past I have always mixed silver with golds and coppers on the rest of the table. It keeps things interesting! This is an older photo from 5 years ago at my Mom's house, but you can see all of the brass candlesticks mixed with the pewter pitchers and silver flatware. 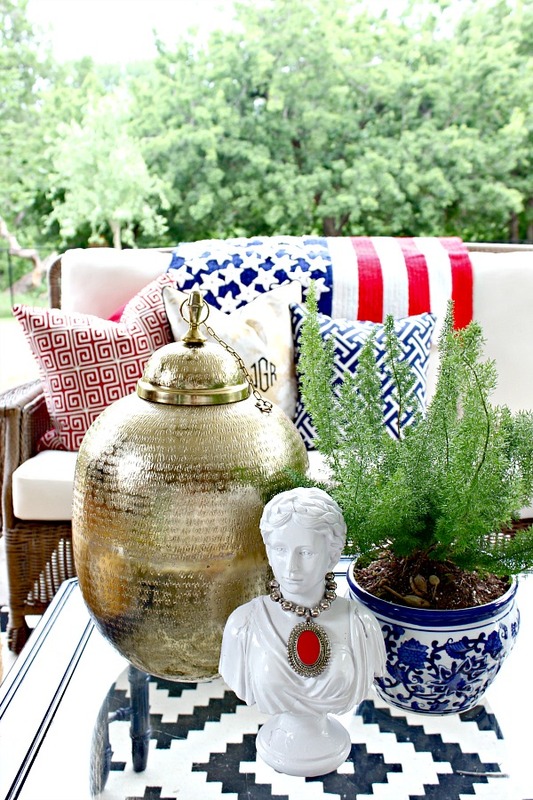 Do you see the little bits of copper mixed with the brass on this table? 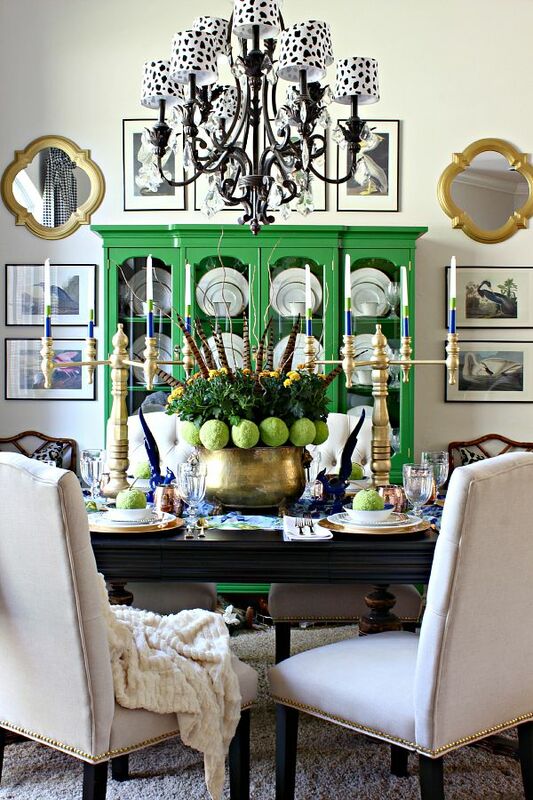 This rustic table setting with silver accents still plays nicely with the gold framed mirrors on the wall. There's even a bit of ORB (Oil Rubbed Bronze) thrown in on the chandelier! Try compiling several pieces with a variety of finishes together on a shelf or in a vignette for a gathered over time, eclectic look. What could be better than an accessory that comes with a mix of metals? Brass and copper combined...classic. I'm cheating a little bit here... 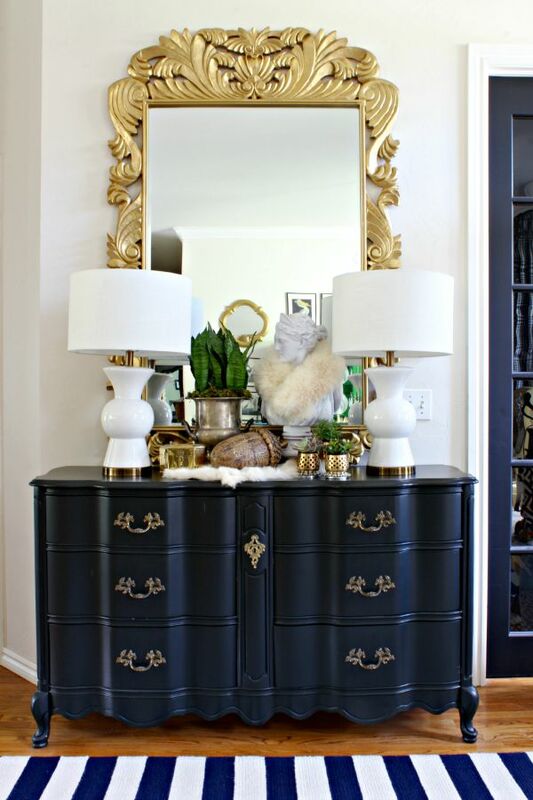 I think that mirrors can give the appearance of a silvery-metal finish when mixed with other metals. The same goes for mercury glass accessories. 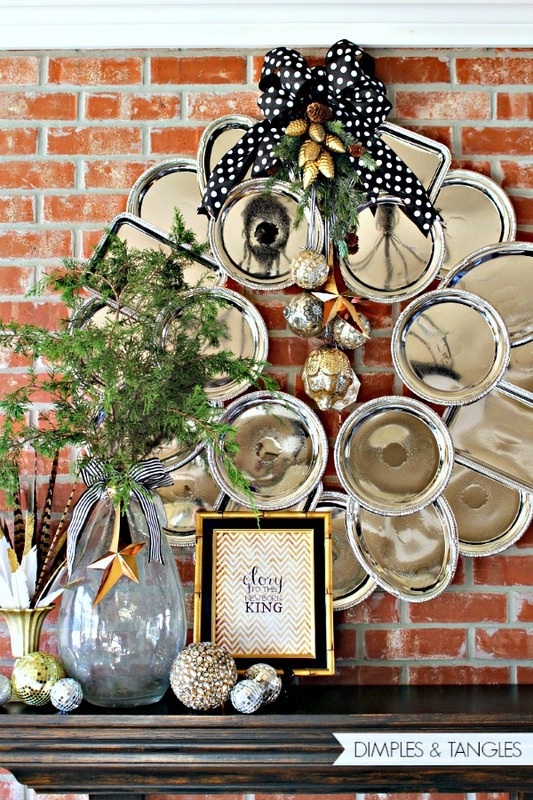 In my opinion, Fall and Christmas decor begs for mixed metals! 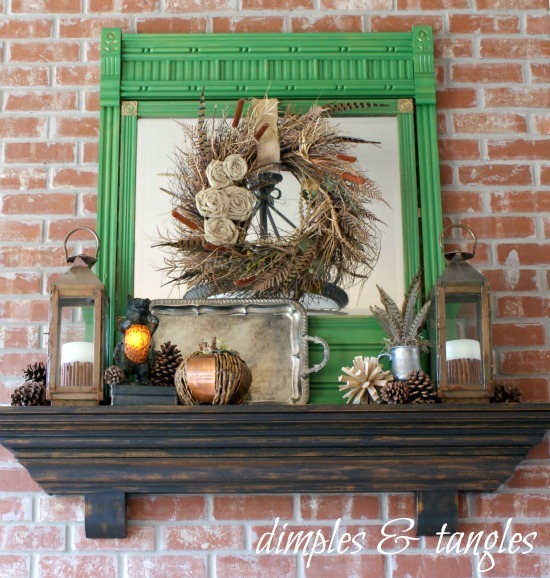 A mix plays nicely with the warmer tones of Fall and adds a festive touch to the holidays. 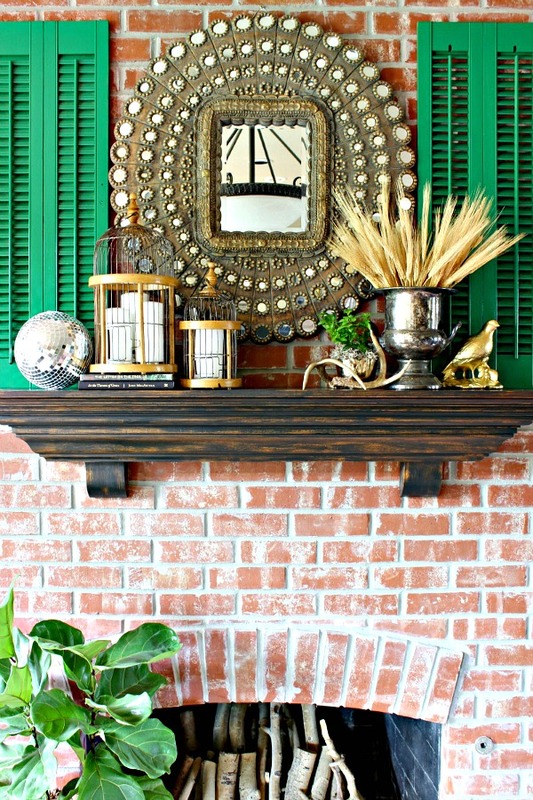 Many of these are mantel designs are seasonal as well, but it's an easy spot to experiment with mixing metals. Are you convinced yet? 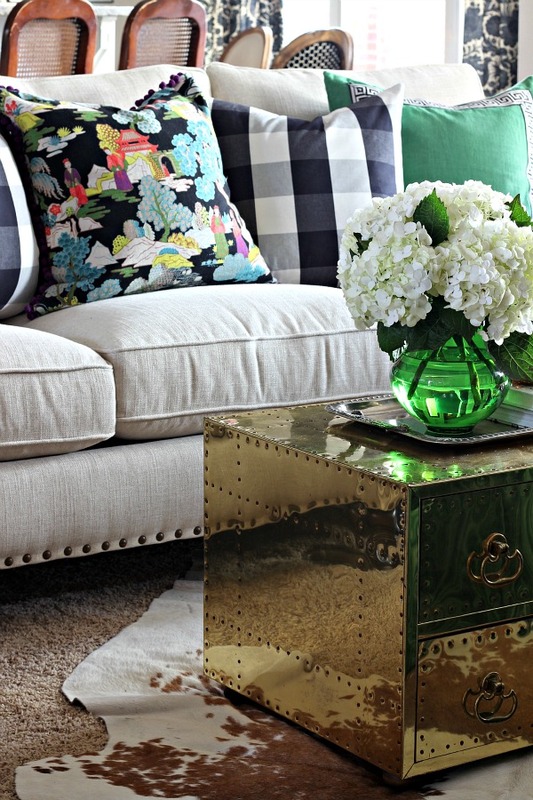 Don't be afraid to mix up those metals... give it a try! If you're on Instagram, I'd love to see what you come up with. And, it's perfect timing, because this week I'm guest hosting at a fun hashtag party called #metalmyhouse. 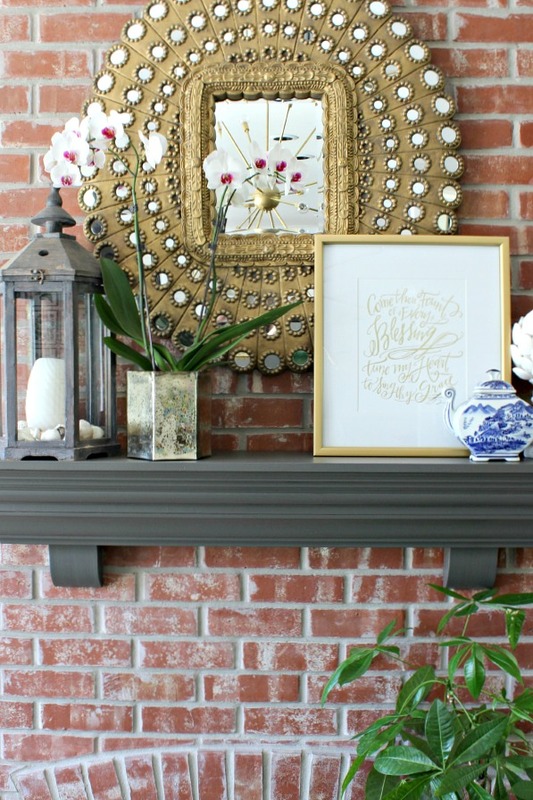 We want to see any metal used in your home decor, but bonus points if you show off mixed finishes! ;) See details for participating here in my post. Be sure to head over to Simple Details, Shine Your Light, Driven by Decor, and Claire Brody Designs to check out their favorite mixed metals- I know you'll find tons of ideas for mixing it up! 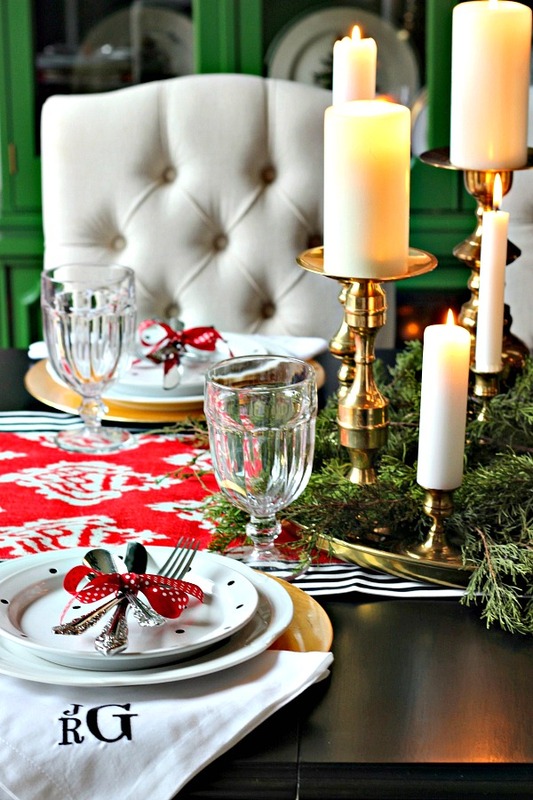 tablescapes and mantles are a great way to use them. 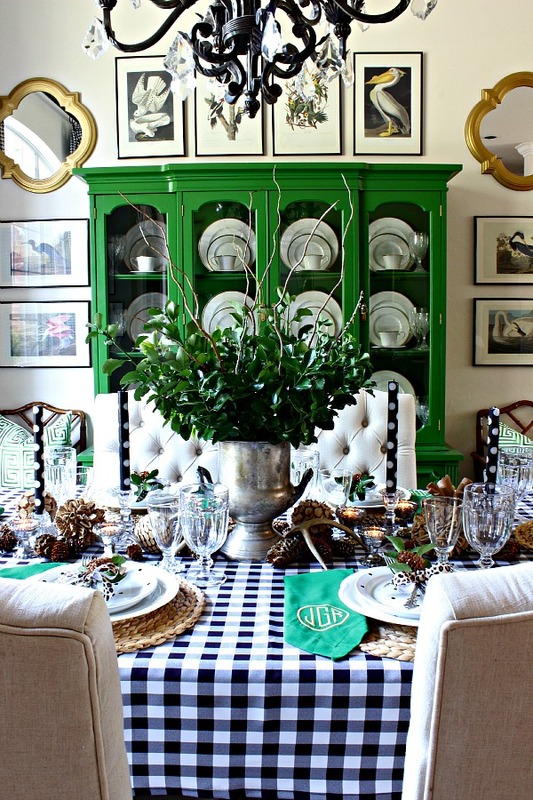 and i always love your tablescapes- you are the master! you should be teaching matthew mead's class with him! Well, I don't know about that, but I'm looking forward to attending that one! Thanks Cassie! I always love your postings! What is the fabric for the colorful oriental pillow on the "accessories" example? Thanks so much! Sadly, the short answer is that it's vintage and not readily available. :( Thanks for reading! 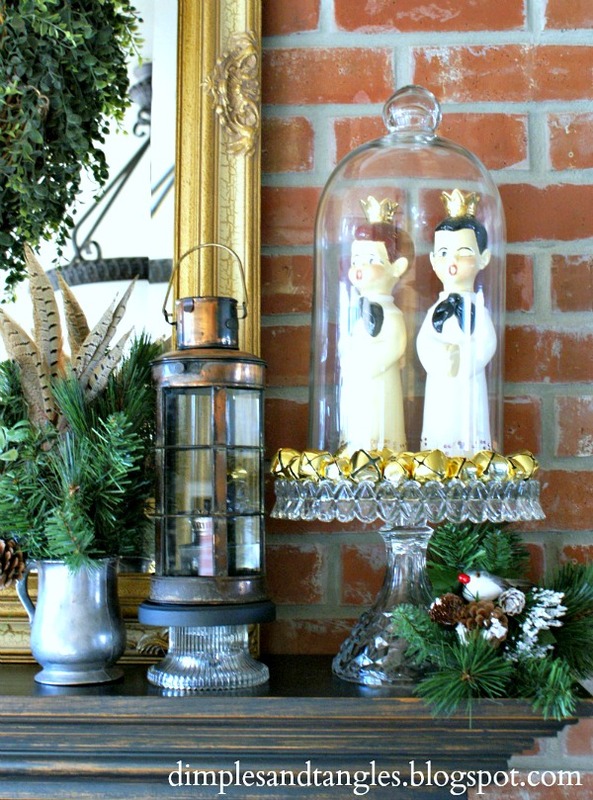 Someday when I retire, I hope to have time to consider vignettes and table decorations. 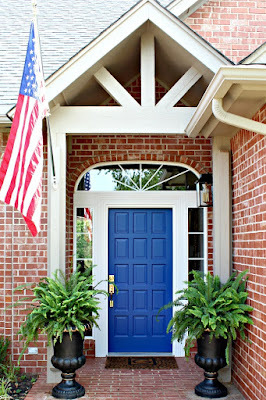 Working outside the home 9-10 hours every day limits my time to even think about decorating. I'm lucky to get a chance to look at your blog. :-) Thanks for the ideas. That must be such a tiring schedule! You'll have one more thing to look forward to after retirement. :) Thanks for the time you spend reading. I knew you would have some great ones for this category Jennifer! 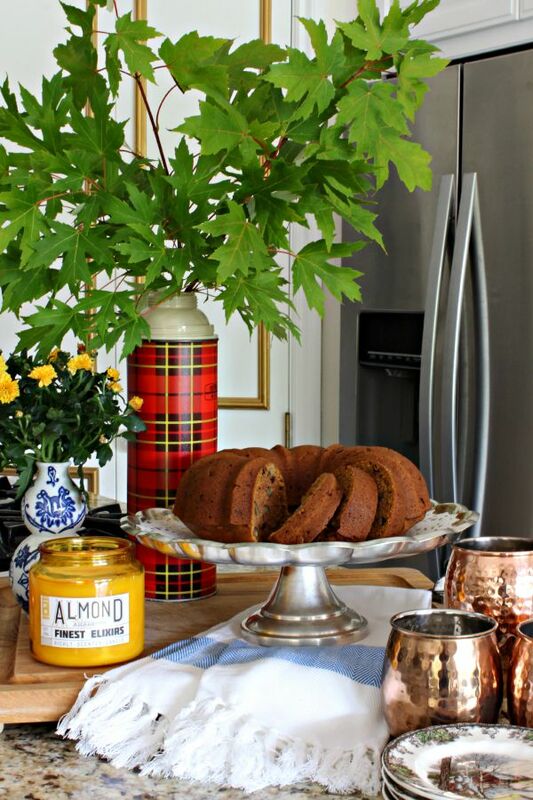 I love the brass lotus lights with the stainless and your tablescapes are always so gorgeous. What fabulous inspiration! 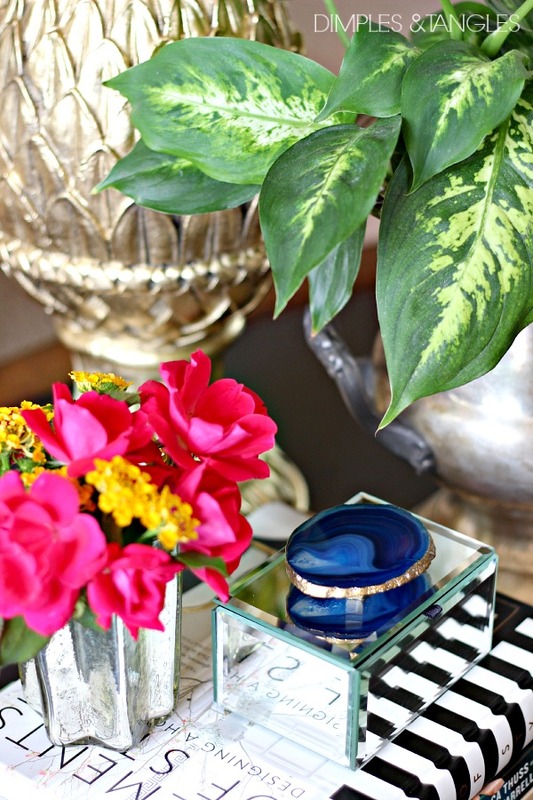 I love all of your amazing vignettes with the great mix, my silver trophy (champagne bucket) is one of my favs too! 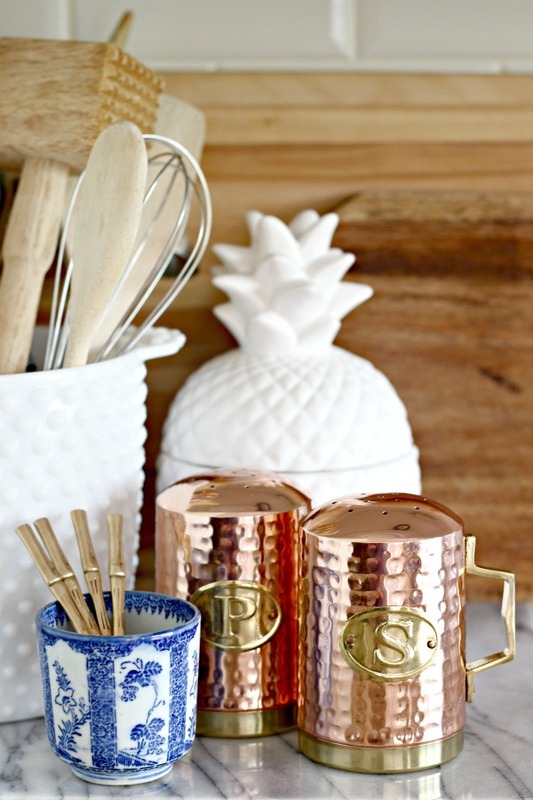 Dang, you seriously have metals everywhere in your house and I love them all!!!!! 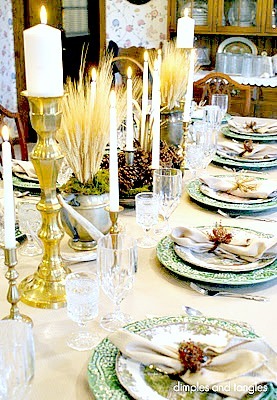 Your tablescapes are just my favorite - all so gorgeous! Love all of your mixed metals, but your kitchen is a favorite, Jennifer! Happy weekend! As a jewelry artist I am completely in love with mixed metals! 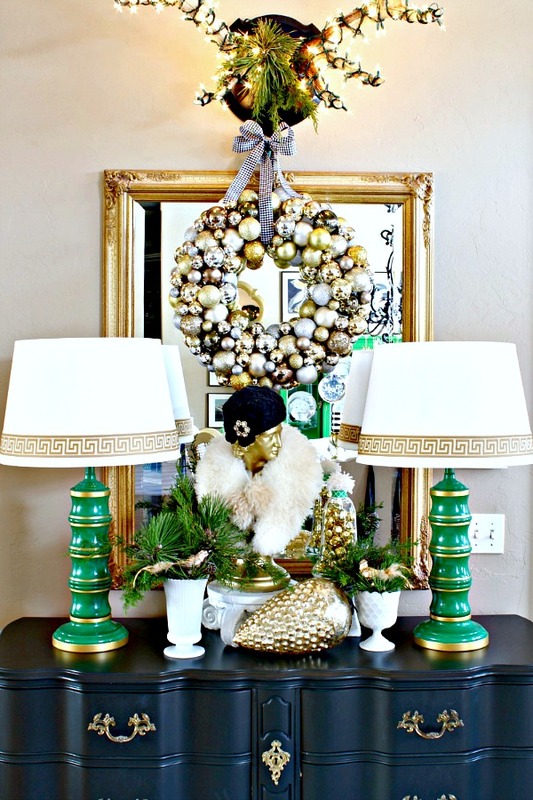 Thank you for some great ideas on how to incorporate them in home decor as well!